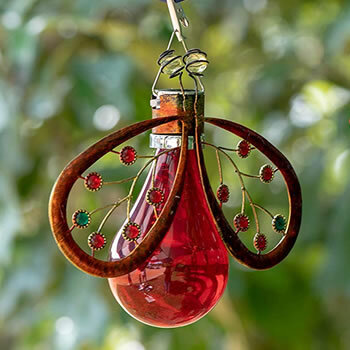 The hand-painted glass is illuminated with a string of LED lights. 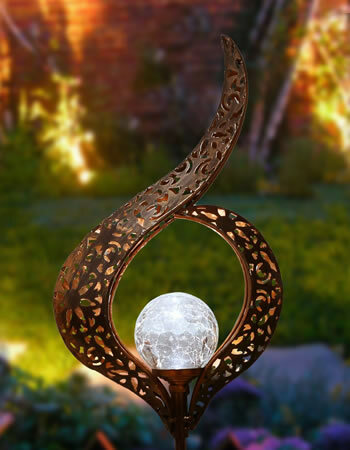 Light also glows through the scroll-patterned cut-outs on back side. 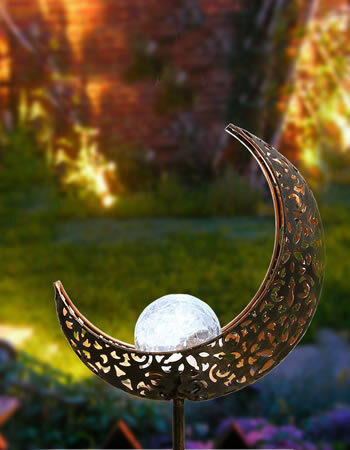 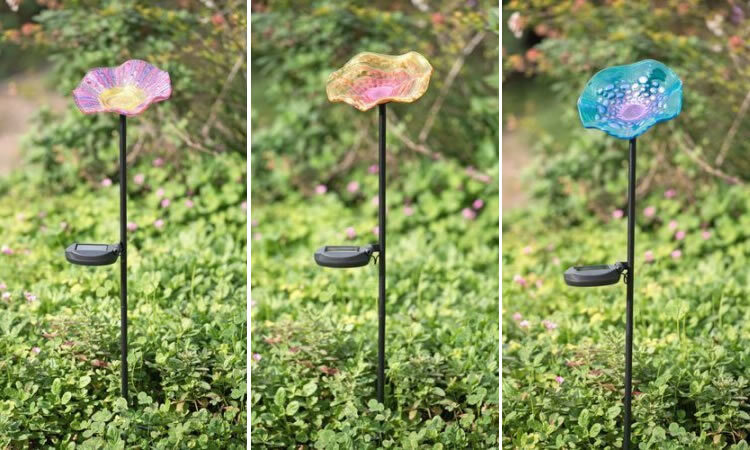 This unique MA Solar garden stake decoration is made with the highest-quality construction. 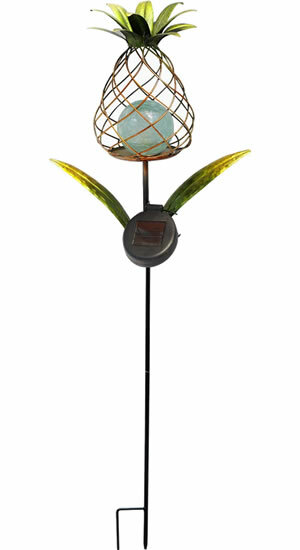 Greet guests by day or night with this delightful solar welcome stake. 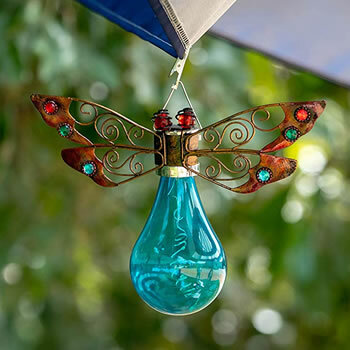 Metal adornments are finished with weather resistant paint. 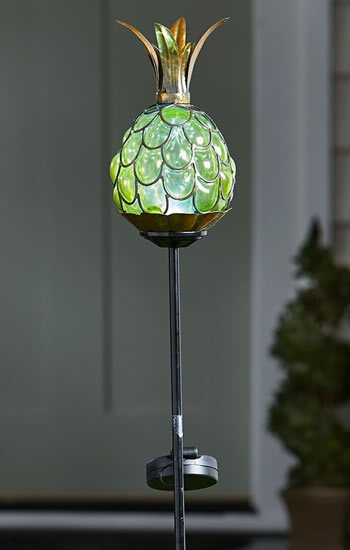 The stake light is crafted with sturdy metal and glass with a durable solar panel. 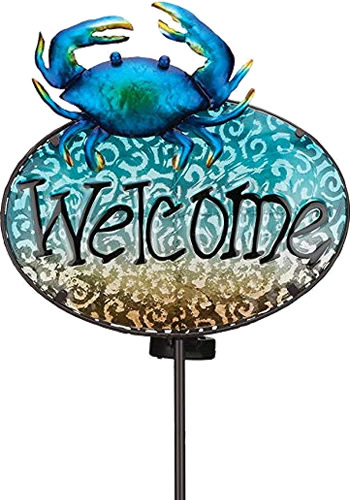 Powder-coated to provide weather resistance, this wonderful illuminated welcome sign will truly please the eye all year-round. 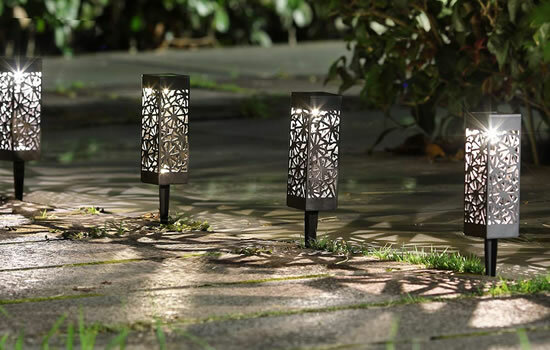 Light shines through the cut-outs. 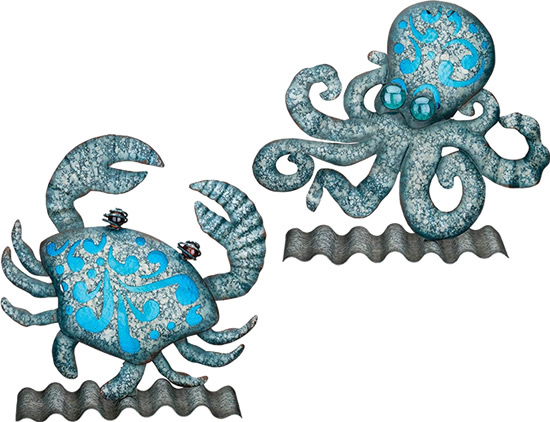 Metal adornments are finished with weather resistant paint. 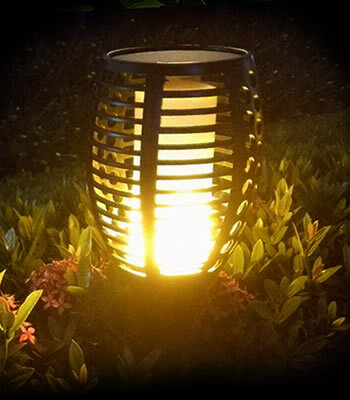 The stake light is crafted with sturdy metal and glass with a durable solar panel. 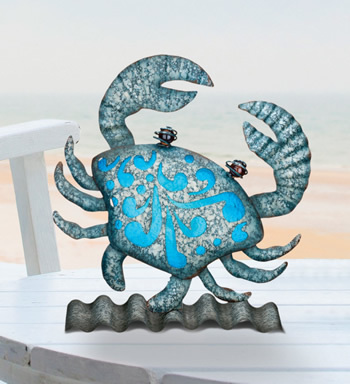 Powder-coated to provide weather resistance, this wonderful crab solar light will truly please the eye all year-round. 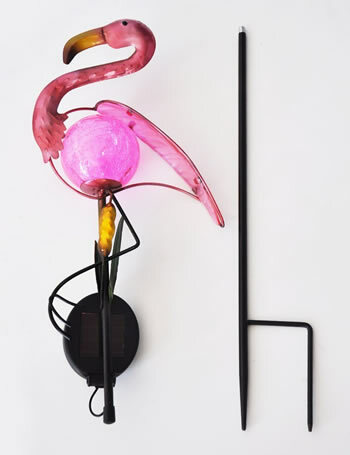 Functional Thermostat can be put anywhere. 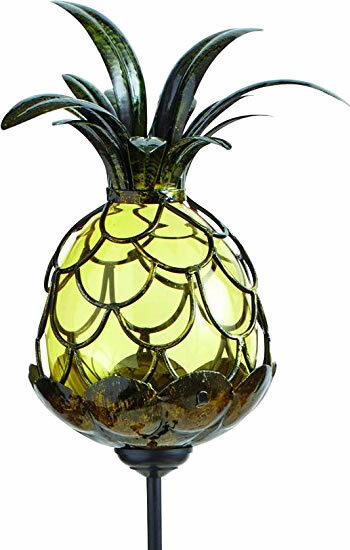 Put it where you can see it from the window. 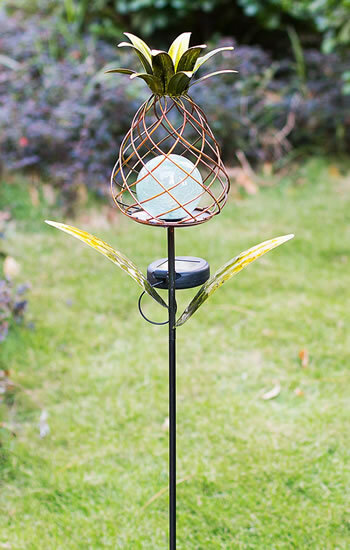 This unique garden decoration is made with the highest-quality construction. 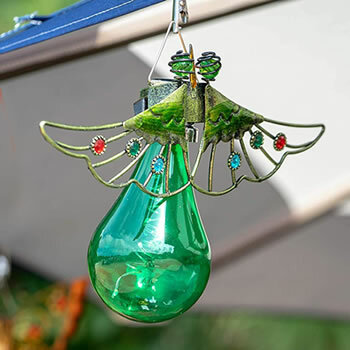 Metal adornments are finished with weather resistant paint. 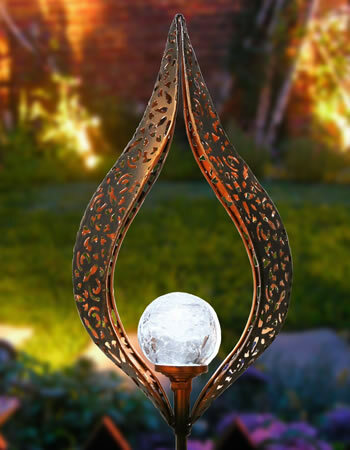 The stake garden thermometer is crafted with sturdy metal and glass. 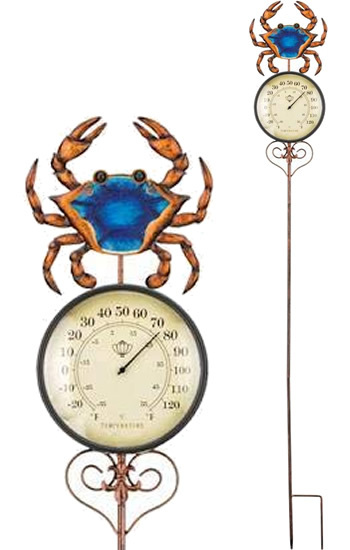 Powder-coated to provide weather resistance, this wonderful thermometer will truly please the eye all year-round. 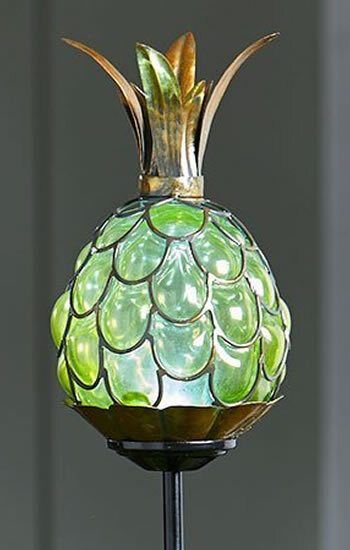 Light shines through the cut-outs and illuminates the thick molded glass inserts. 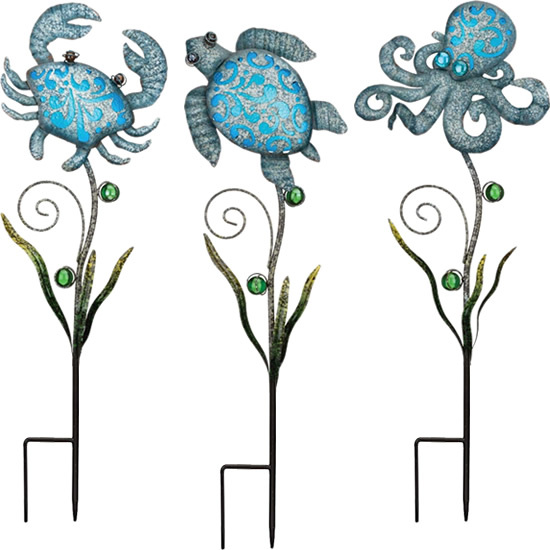 Metal adornments are finished with weather resistant paint. 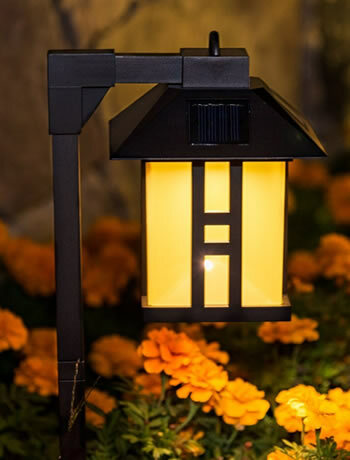 The stake light is crafted with sturdy metal and glass with a durable solar panel. 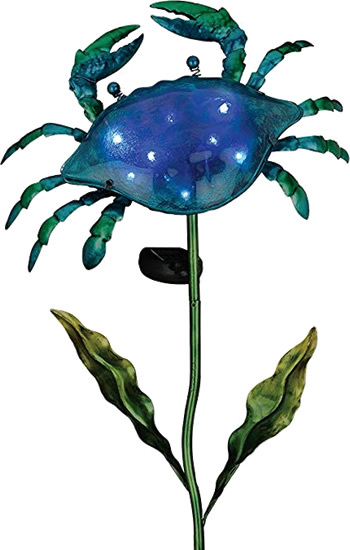 Powder-coated to provide weather resistance, this wonderful crab garden light will truly please the eye all year-round. 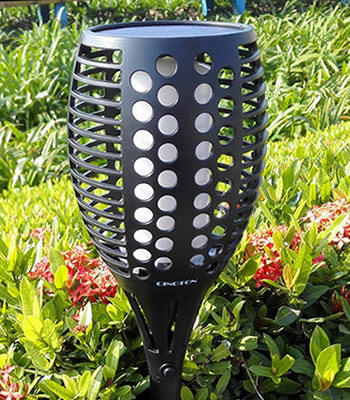 Dimensions: 6.5" x 18.3" x 35"
Simply push your your stake light into the ground where you want and put the solar charger where it gets bright sunlight. 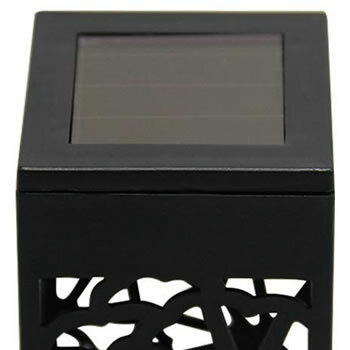 Solar Cells charge battery all day. 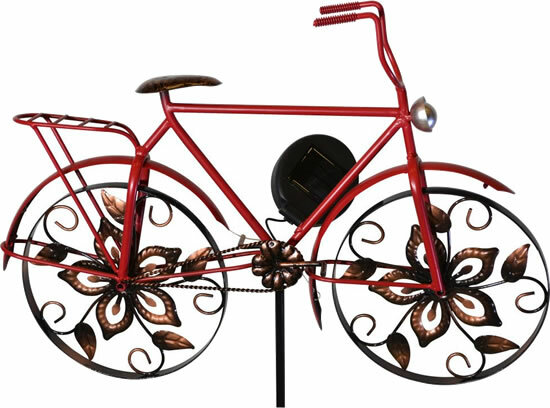 White LED lights around the rims of the wheels light up automatically at dusk. 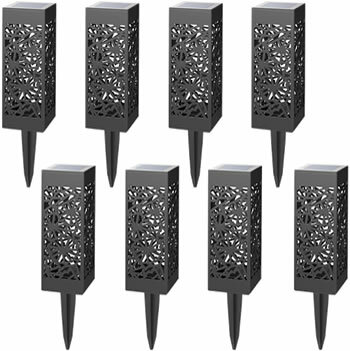 Each full charge of the batteries provide up to 8 full hours of illumination. 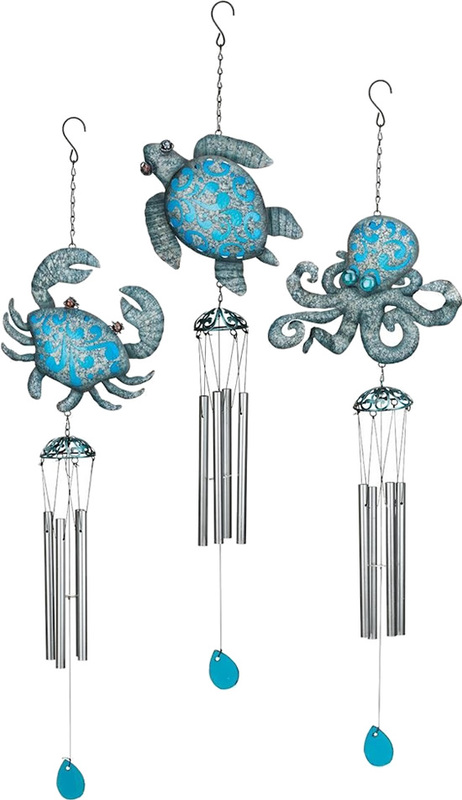 Durable metal construction resists weathering and corrosion. 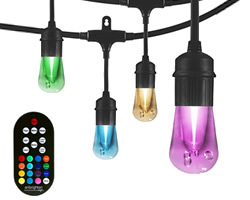 LED bulbs never need changing. 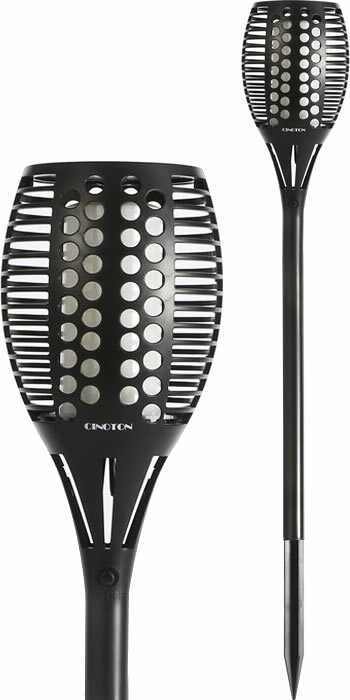 Simply clip to umbrella or anywhere else you desire. 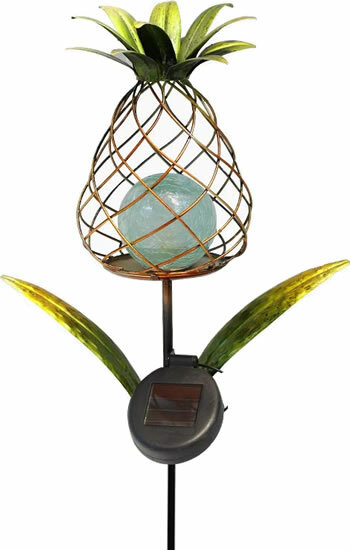 Hiqh quality crystalline Solar Cell on head charges battery all day. 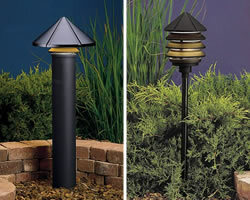 Bright 4 Lumens LED lights up automatically at dusk. 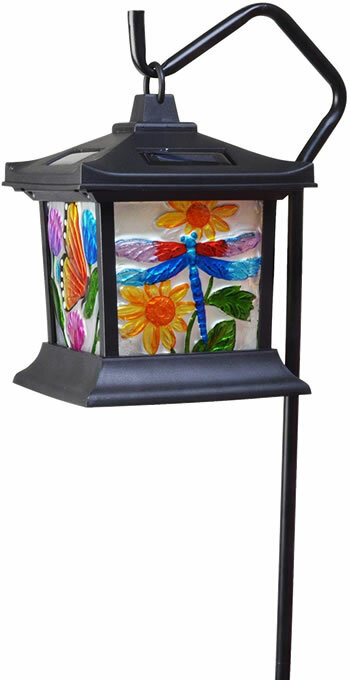 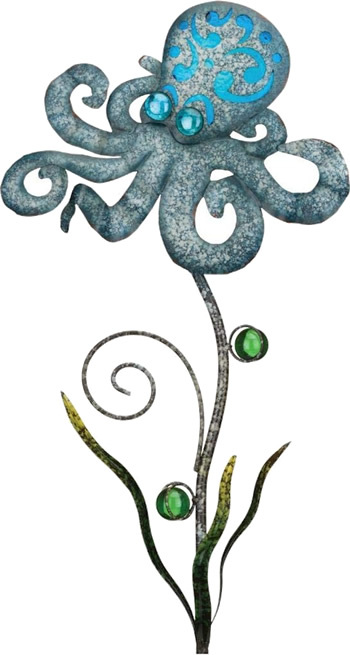 Glass panels feature sunflowers, dragonfly, butterfly, flowers and leaves. 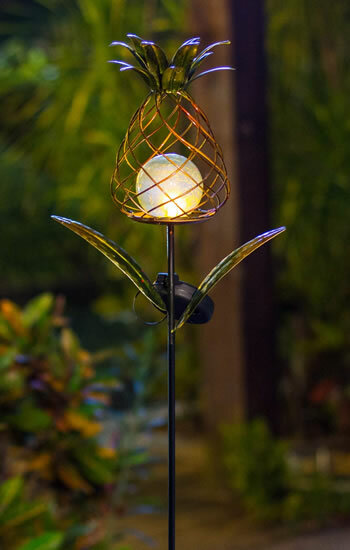 Dimensions: Lantern 9" x 7.4" x 7"
Above ground height approximately 25"
Simply push the spike of this hanging LED light into the ground and hang the solar lantern. 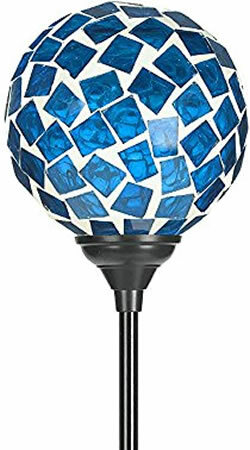 41.3" x 5.5" x 5.5"
Sensor automatically turns the light on at dusk after it has been charging throughout the day. Clean solar panel with a damp cloth to ensure optimum charging. 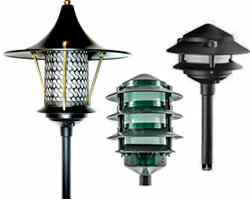 Yards & Beyond is designed to add accent lighting to your outdoor living space. 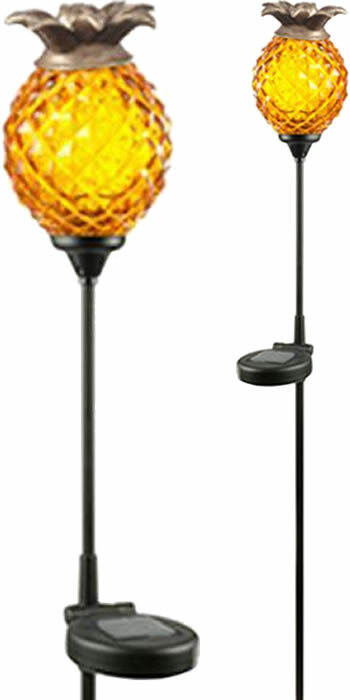 Easy to install - no wires to run. 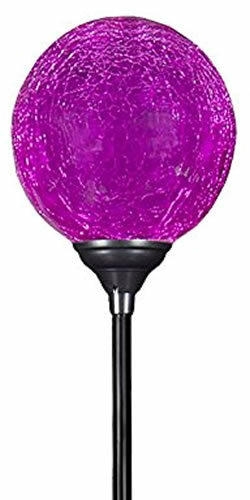 Easy maintenance - weather proof and durable, simply hose off when dirty. 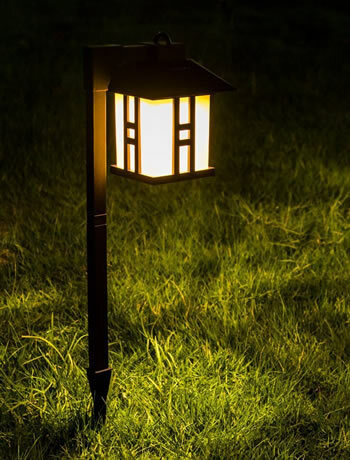 Simply put, the easiest way to add accent lighting to your yard. 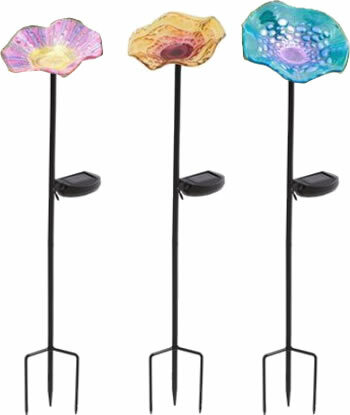 Dimensions: 7.6" x 15" x 3.8"
Dimensions: 7" x 15" x 5"
Embellish your garden and potted plants with our elegantly designed Solar Poppy Stakes. 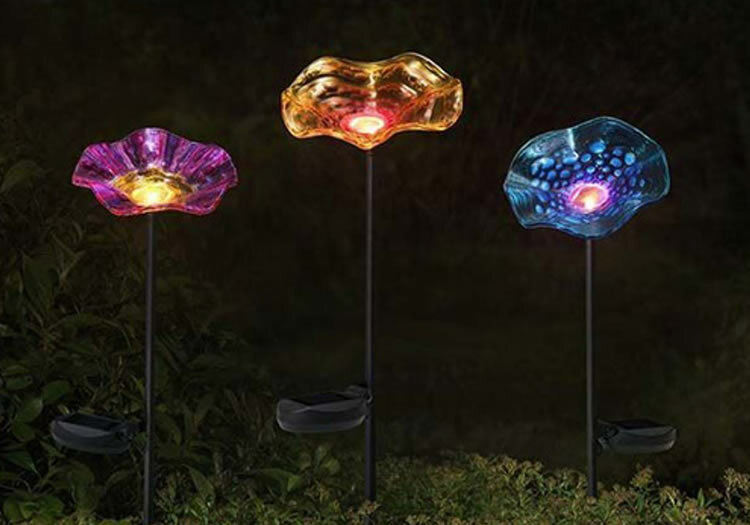 Their lovely colored glass finish adds the perfect touch of beauty in the day time, and their energy saving LED allows these poppy stakes to bring vibrant colors in the evening. 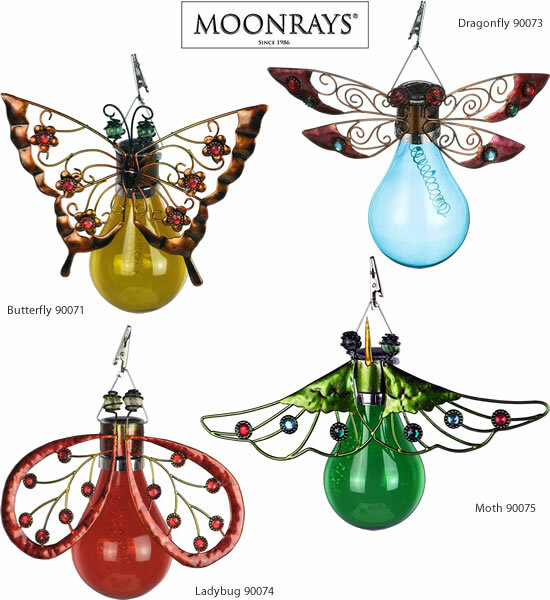 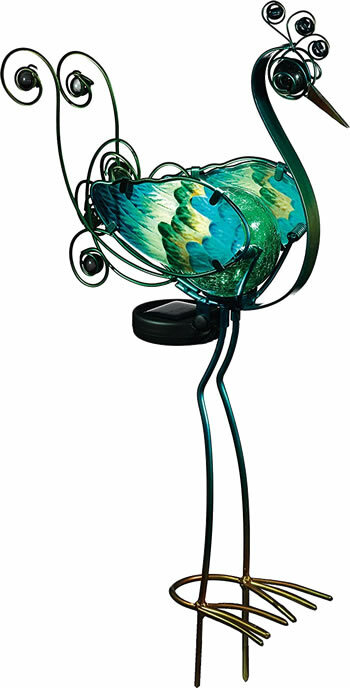 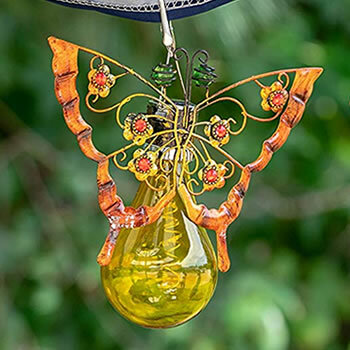 Dimensions: 13.8" x 21.3" x 4.7"
The body of these whimsical peacock path lights is a crackle glass globe in beautiful iridescent green or purple. 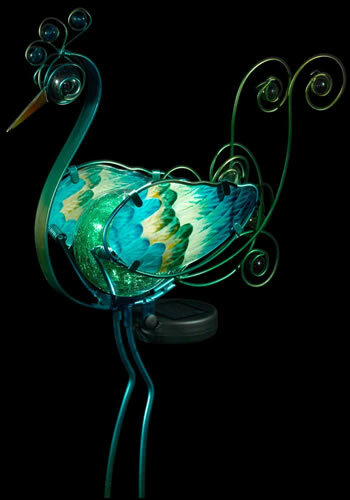 The rest of the peacock is made of metal. 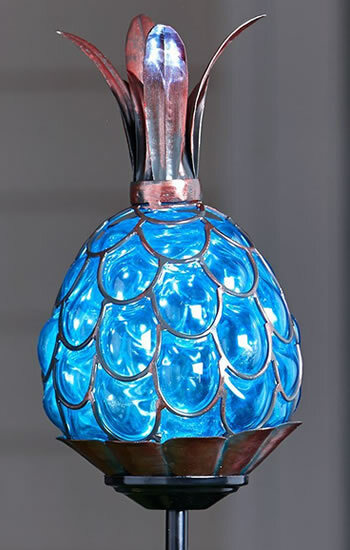 This light is not suitable for a location that gets salt air. 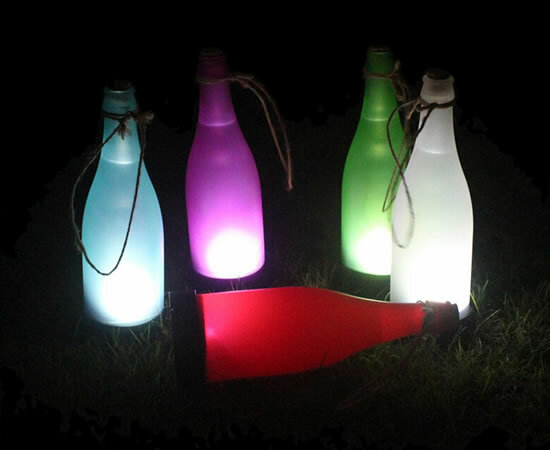 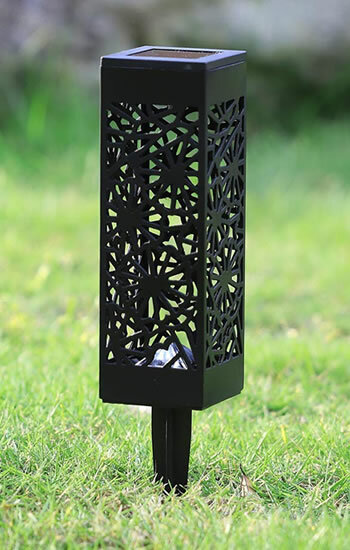 Use a series as path lighting or a single Peacock Solar Stake Light as a focal decoration in your garden. 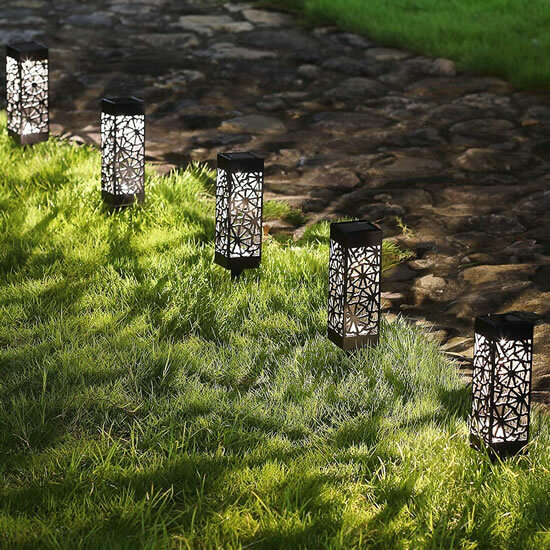 6 Hours Timer: This solar pathway lights will auto switches itself off 6 hours. 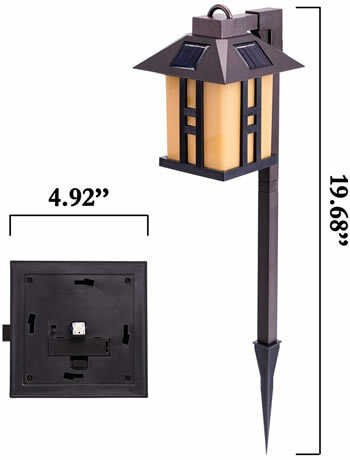 Dimensions: 6.69" x 2.5" x 30.5" to 33.5"
Long lasting performance under most weather conditions. 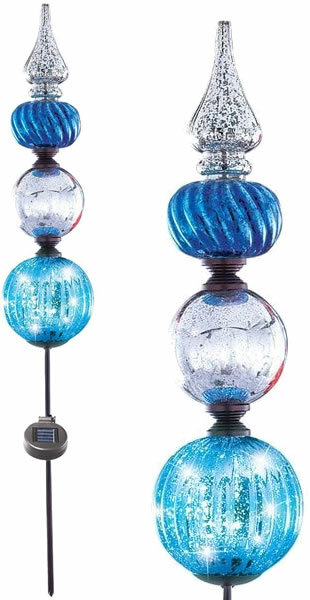 Turns on at dusk and off at dawn. 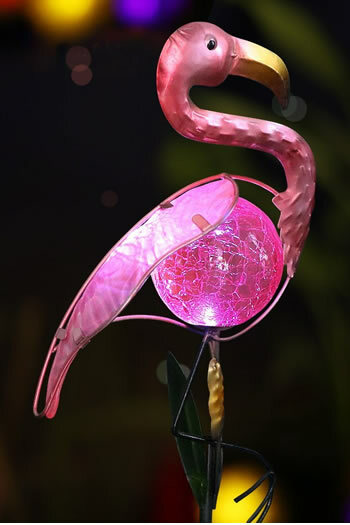 Total Torch Height 31.1" x Width 3.5"
Dimensions: 6.2" x 5.9" x 27.9"
The body of this whimsical flamingo light is a pink glass globe. 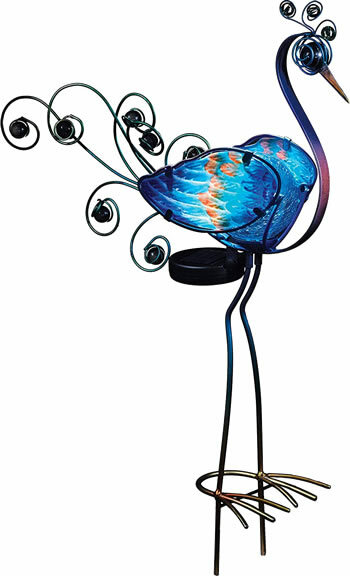 The rest of the flamingo and the leaves are made of metal. 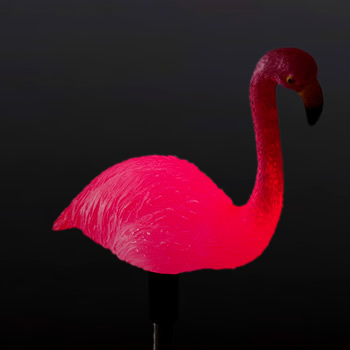 Use a series as path lighting or a single Flamingo Stake Light as a focal decoration in your garden. 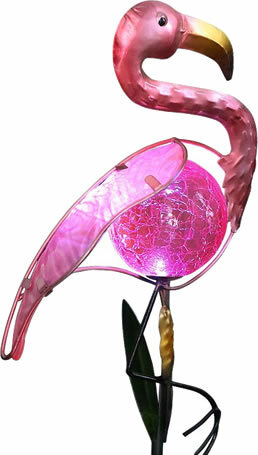 The Flamingo path light has green leaves, yellow bulrush and a pink crackle glass globe. 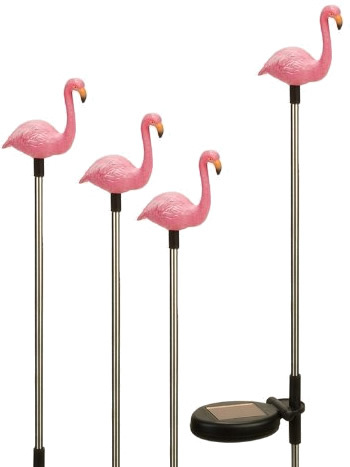 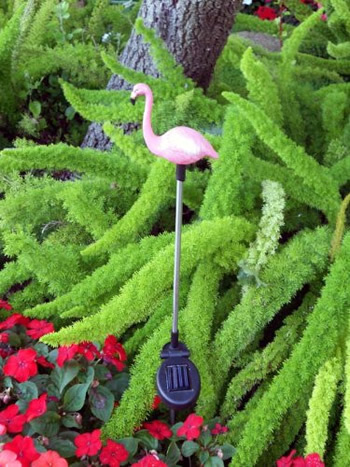 Dimensions: 17" x 8.1" x 4.2"
Forked stake prevents flamingo from spinning or swiveling in the wind. 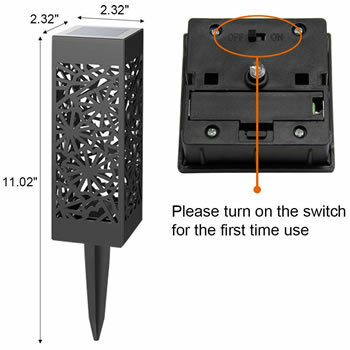 When off, the battery will charge, but it will not light. 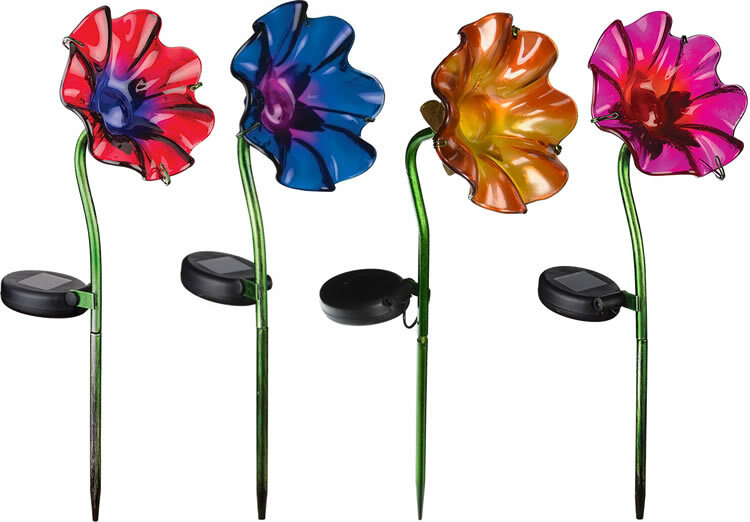 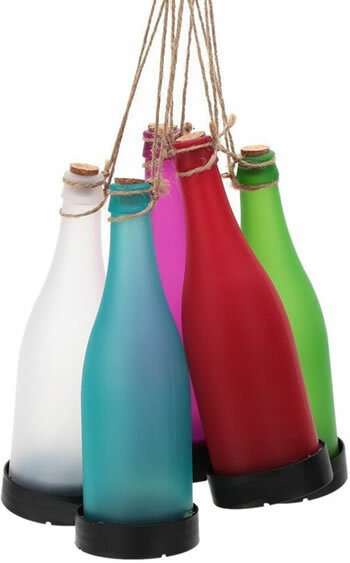 41 1/2" x 5 3/4"
These colorful stakes with faux mercury glass add sparkle and shine to your garden, day or night. 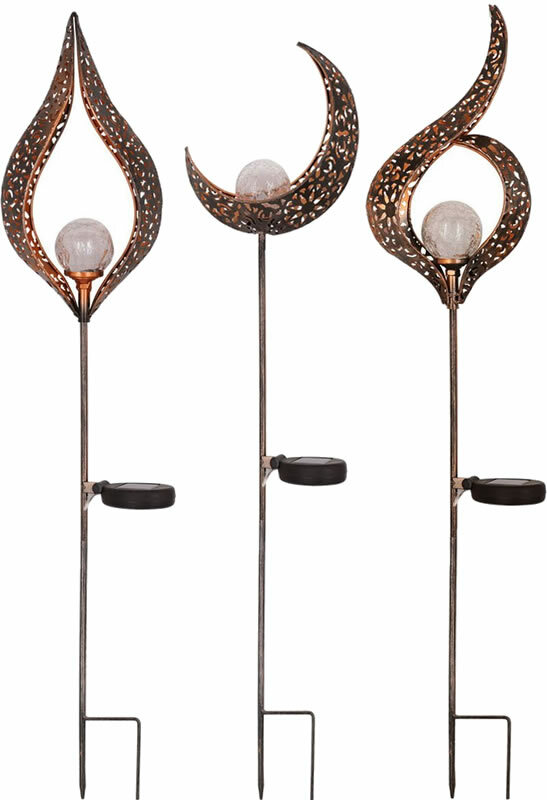 The decorative finials automatically shine with solar-powered light at night. 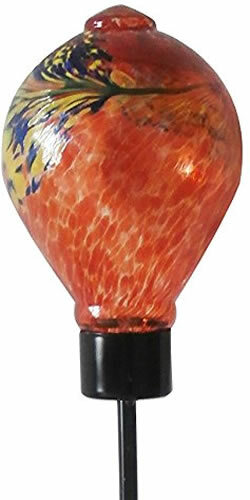 3.3" x 4.7" x 37.4"